Good morning. I like you all! *whispers* (I like you the best tho) *loud voice again* Who wants tweets?! 21 savage rocking out to some of his new music. How it sounding tho?? u guys like 'weatherman' and 'moment' tho ? Me: Don't ride that one - you'll be soaked all day. Me to me: We got a poncho tho. What is the meaning of Tho abbreviation? 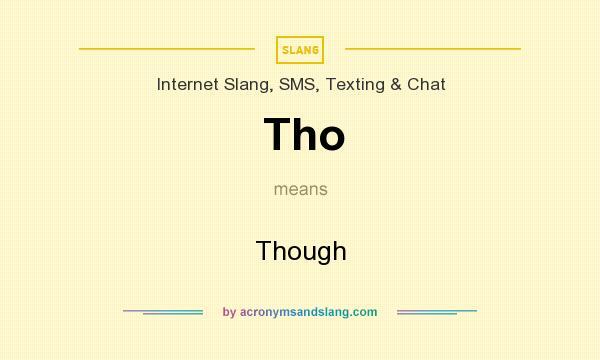 The meaning of Tho abbreviation is "Though"
Tho as abbreviation means "Though"